Rings bestowed by Sigmund Freud upon his disciples brought together for the first time at Israel Museum in Jerusalem. 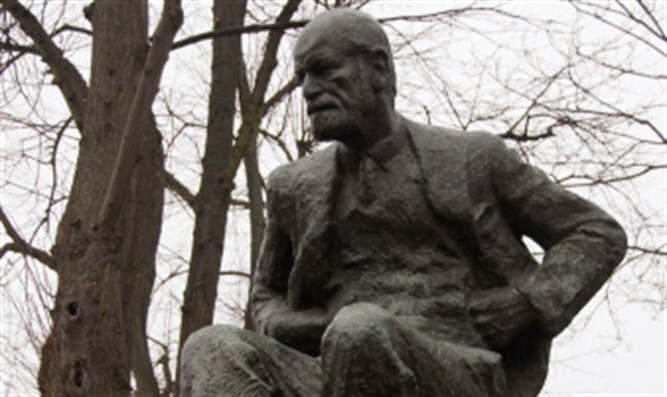 A new exhibition in Jerusalem is for the first time bringing together signet rings Sigmund Freud had bestowed upon chosen disciples, initially as part of a secret psychoanalytical society. The six rings going on display at the Israel Museum in the "Freud of the Rings" exhibition opening July 20 illustrate his deep connection to mythology and archaeology. They also help illuminate the personality of the founding father of psychoanalysis, born in 1856 in present-day Czech Republic and who moved to Vienna aged four. The exhibition was conceived when Morag Wilhelm, a young assistant curator at the museum, came across a gold signet ring in a small cardboard box with the words "Freud Nike", the latter being the Greek goddess of victory. The ring's provenance grabbed her attention, and Wilhelm learned it was given by Freud to a student of his, Eva Rosenfeld, who later donated it to the museum. Wilhelm dug deeper and learned of the rift in 1912 between Freud and Swiss-born Carl Gustav Jung, his closest disciple and designated successor who broke off from his Jewish mentor to form what would become analytical psychology. That prompted Freud to create a secret society of psychoanalysts committed to his teachings and dedicated to him, with each of the founding five professionals receiving a signet ring. The stones in the rings were from Freud's vast antiquity collection, with an engraving on each of a mythological theme corresponding with elements from his psychoanalytical teachings and his relationship with the recipient, Wilhelm said. Over the years Freud handed out at least 20 such rings, including to psychoanalysts he felt indebted to and even people he analysed and was fond of. The small exhibition is set up in a series of rooms with a replica of the cover of Freud's iconic couch covering the walls to intimate the atmosphere of his original clinic. Video art by American artist Amie Siegel shows workers cleaning Freud's antiquity collection in his London museum, with six of the key statues from there on display alongside a cigar box belonging to the famous smoker, as well as the rings. The exhibition weds Freud's psychology with his archaeology, and reflects a growing interest "to see more intricate connections between different cultural fields, through an interesting historic story," said Ido Bruno, director of the Israel Museum. Beside the Israel Museum's ring, three of those on display are on loan from the Freud Museum in London, one is from the Austrian National Library, and another is from the Jewish Museum in New York, which also loaned the cigar box. Wilhelm hopes the exhibition, the first she curated, will encourage people to look for additional rings, owned by them or acquaintances, which could "provide a further dimension, yet unknown, to the story". Bruno said that a museum was a natural setting for Freud's work because of his interest in antiquities and his passion for digging into one's past to better understand a person's current condition. "We look at the past but constantly see the present and fantasise, or seek sources of inspiration, for our future," said Bruno.